When the final whistle blew last season, Vale of Leithen had conceded 66 goals. And, with 8 games to go this season, the Vale have let in 59 goals. Surpassing last season’s total of 66 goals looks nailed on, as getting through Vale’s defense isn’t proving tough enough for opposing teams. If the dream of moving up the Scottish footballing pyramid is to be realized, changes will need to be made. In the last two fixtures, Vale have imploded at the back, letting in a combined 11 goals. When Spartans visited Victoria Park, they racked up five against Vale. That was preceded by East Kilbride amassing six against Vale away from home. To make matters worse, Vale haven’t managed a goal during any of those outings. The past two fixtures haven’t just been a once off. Conceding a hefty amount of goals has been a recurring theme this season. Twenty goals have been shipped in the last six matches. To date, Vale concede an average 2.6 goals a game; that defensive record is the second worst in the league. Only bottom of the table Hawick has a poorer record, having conceded an incredible 84 goals in 22 games. 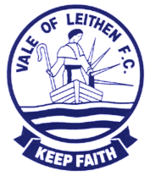 It should be noted that during the season Vale of Leithen have struggled with long term injuries to their mainstay defenders, which has led to various defensive formations and has no doubt contributed to their defensive record. Having a defense that creaks and folds at the first sign of trouble is a recipe for disaster; confidence is normally bred from the back. If a team develops chronic defensive problems, it can spell disaster. Wherever you look around the footballing world, the examples are there to be seen. Arsenal have shown that, no matter how good a team is going forward, if you can’t keep the goals out, it will won’t mean a thing. Both away from home and at the Emirates, the problems remain for the Arsenal. It all comes down to a backline shot of self-confidence. When Edinburgh City were promoted in 2015/2016, they conceded 28 goals in 28 games. They only gave away a goal a game. After a successful promotion bid, the Citizens have stayed in League Two. Teams that are able to defend can consolidate whilst they get up to speed with the tempo of a new league. Edinburgh City are not be reaching the same heights as high flying Peterhead. As of the 15th of March, Betway has the Blue Toon at 2/5 to win the league. However, the longer the Citizens are able to stay in League Two, the better. With every passing season, they will be able to put together a viable promotion charge. Edinburgh City’s blueprint should be one for all teams fighting to get into Scottish league football. It isn’t outside the realms of possibility that Vale will one day be able to follow suit. After Rangers secured their promotion back to the top flight, anything looked possible as far as back to back promotions go. 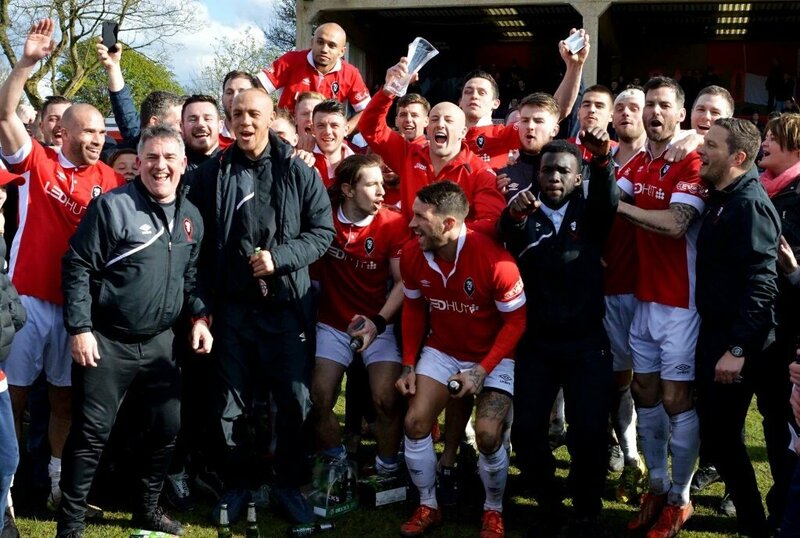 Across the border, Salford City are proving anything is possible. The club owned by the former Manchester United stars were promoted to the National League North in 2016. The aim is to be playing Championship football in the next decade. Given where they were 10 years ago, that would be quite remarkable. Vale will finish in a similar position as the last couple of seasons. The last two seasons have seen the club finish in 13th. Currently sitting 14th, there is a bit of work to do to make sure of that. The Beast from the East has played havoc with fixtures of late and their latest league fixture against Hawick was postponed. The Vale have three games in hand over most of the league. Winning all of those games could see a rise up to 11th position. There’s a great deal to play for with the reward of the highest finish in the last couple of seasons on the table now, and their energy levels should be high. A promising end to this campaign will build a lot of momentum for next seasons challenges. Tightening up at the back is a must if the club is to go improve on this season but these things are often easier said than done. The point is that results are very likely going to repeat themselves if not done. Once promoted, the possibilities become a whole lot greater. From there, the journey begins in earnest. The toughest part is putting the systems in place that will yield these results. Football does have a few golden rules that need meeting before success can take place. The challenge is there over the next 8 games. Pick up as many points as possible. Putting down a marker to the rest of the league doesn’t have to start over the summer. Now is as good as any to show a signal of intent. A few positive results and a couple clean sheets will make all the difference.